Bunker fuel company cemented political positions: staff supervising supply “Signals in advance that the entire Eu- ropean Union bloc wanted 2020, com- operations at port. bined with the release of a new study suggesting delaying the sulfur cap to 2025 would cause more than 570,000 ad- ditional premature deaths globally, made it politically very dif? cult to ask for a delay. 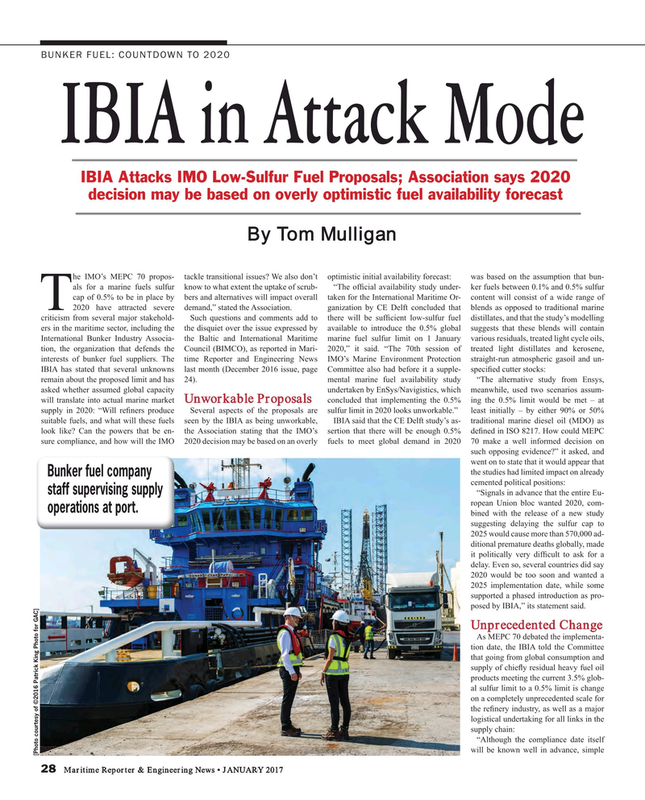 Even so, several countries did say 2020 would be too soon and wanted a 2025 implementation date, while some supported a phased introduction as pro- posed by IBIA,” its statement said.